Since it’s now That Time of Year when the SF/F community begins sharing lists of various works that are eligible for awards consideration (such as the Nebula Awards and Hugo Awards), I’m pleased to note I have pieces of work that I can list as eligible in several Hugo Award categories. The WisCon Chronicles, Vol. 9: Intersections and Alliances, edited by Mary Anne Mohanraj, in which I have an essay, “One of Those Women,” is also eligible for the Best Related Work Hugo Award. 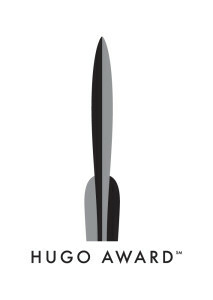 This is the first year that Uncanny Magazine is eligible for the Best Semiprozine Hugo Award (issues 2 through 7). A complete list of Uncanny’s eligible 2015 fiction has been compiled on the website. Also, poems from issues 2-7 are eligible for the Rhysling Awards. I hope you will check out the stories, nonfiction, poetry, and art that Uncanny has published. I’m extraordinarily proud of the work Uncanny has done and I look forward to more passionate fiction, nonfiction, poetry, and art that celebrates SF/F and makes us feel as the magazine continues to grow. I remain grateful and honored that Lynne and Michael Thomas asked me to join Uncanny as managing editor, which has inspired me to produce the kind of work in fandom I’ve always dreamed about creating. I am also eligible for the Best Fan Writer Hugo Award. This entry was posted in Culture, Fandom and tagged award nominations, Hugo Awards by Michi Trota. Bookmark the permalink.